Büro Ole Scheeren recently completed Guardian Art Center, a contemporary art museum heralded as the “world’s first ever custom-built auction house.” Located close to Beijing’s historic Forbidden City, this hybrid cultural institution offers mixed-use programming from galleries and conservation facilities to a hotel, restaurants, events spaces, and even integrated public transport infrastructure. 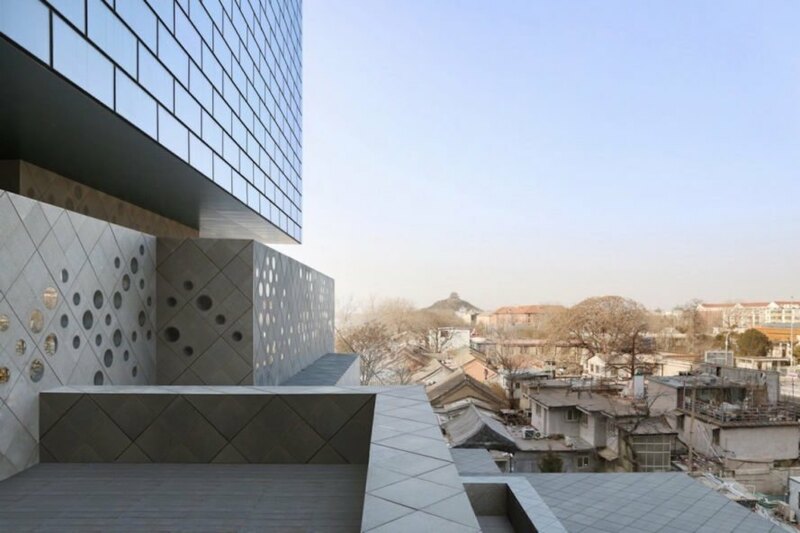 Designed to respect Beijing’s traditional urban fabric, Guardian Art Center comprises a series of nested gray basalt stone volumes at its base that echo the scale and materiality of the nearby hutong courtyard houses. 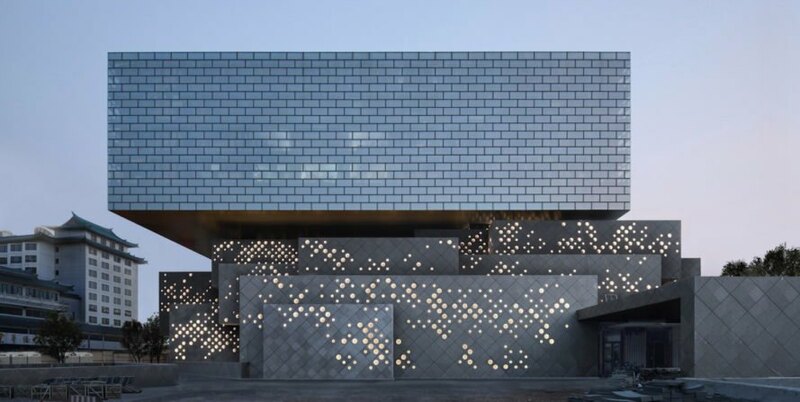 The stone volumes are perforated with a varying circular pattern that lets in natural light and glows at night. A “floating glass ring” rests atop the stone base and is clad in a brick-patterned glass facade. 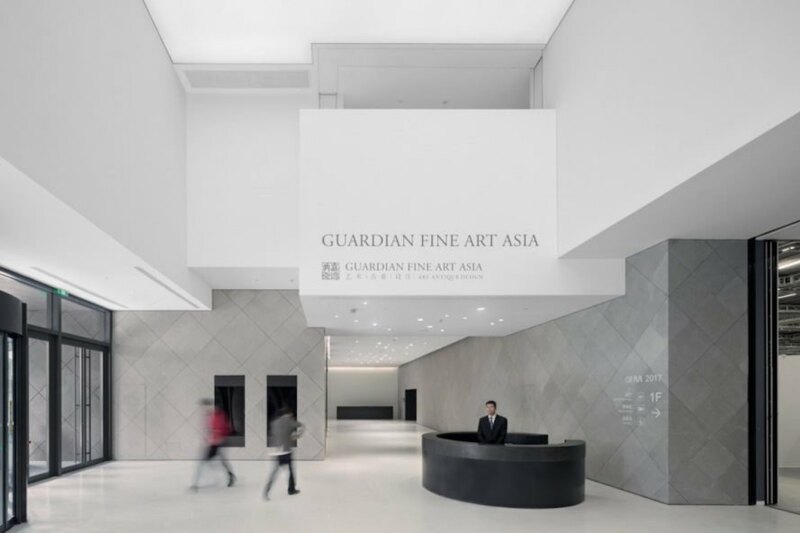 “The Guardian Art Center is a lot more than just a museum,” says Ole Scheeren, principal of Büro Ole Scheeren. “It’s not a hermetic institution, but rather an acknowledgement of the hybrid state of contemporary culture. It is a Chinese puzzle of interlocking cultural spaces and public functions that fuse art and culture with events and lifestyle.” Scheeren adds that the materials share symbolic value with the brick referring to the common people and adjacent hutongs, while the glass references the contemporary city. 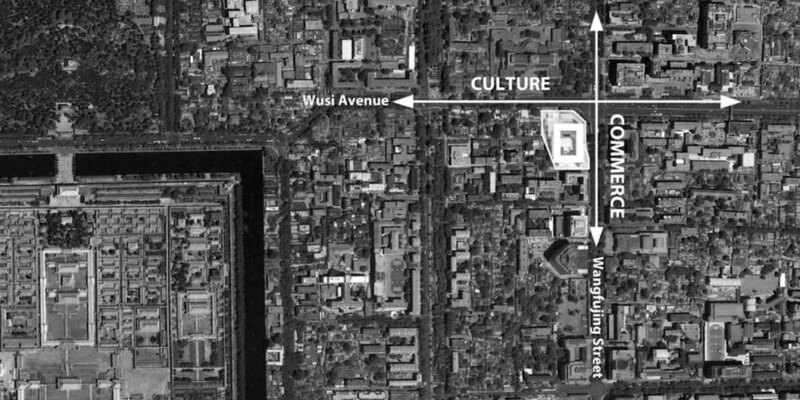 The building occupies prime location at the intersection of Wangfujing, Beijing’s most famous shopping street, and Wusi Davie, and also sits opposite the National Art Museum of China. 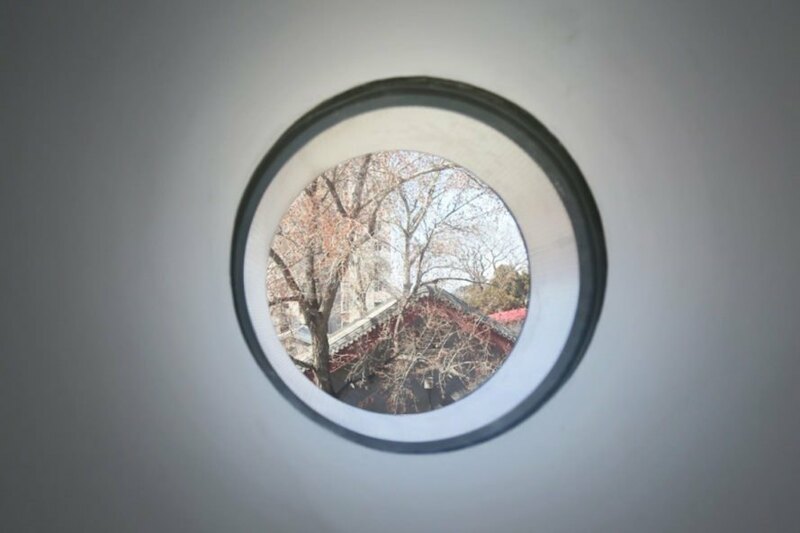 Given the site’s historical significance as the place where China’s New Cultural Movement originated, the designs for Guardian Art Center took two decades before passing approval by the Beijing planning bureau and preservation commission. In addition to its ties to both modern and historic design, the large structure can adapt to multiple uses thanks to moveable partitions and ceiling systems that allow for different interior configurations. 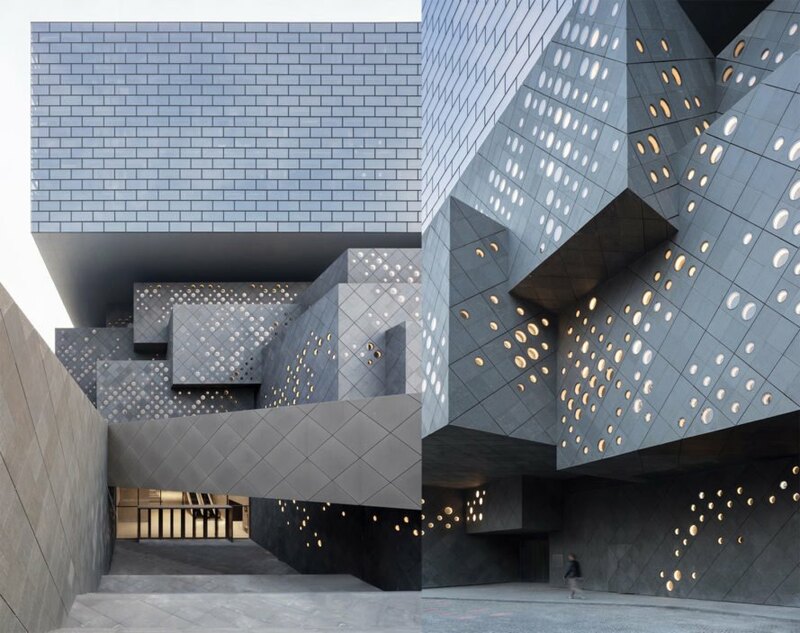 Designed to respect Beijing’s traditional urban fabric, Guardian Art Center comprises a series of nested gray basalt stone volumes at its base that echo the scale and materiality of the nearby hutong courtyard houses. The stone volumes are perforated with a varying circular pattern that lets in natural light and glows at night. A “floating glass ring” rests atop the stone base and is clad in a brick-patterned glass facade. 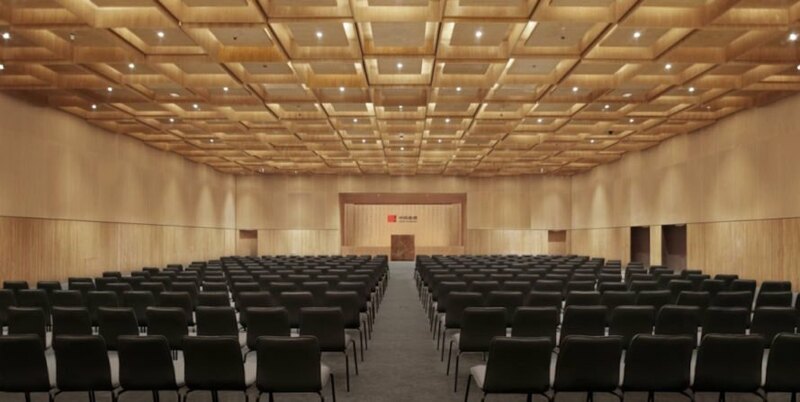 The building occupies prime location at the intersection of Wangfujing, Beijing’s most famous shopping street, and Wusi Davie, and also sits opposite the National Art Museum of China. 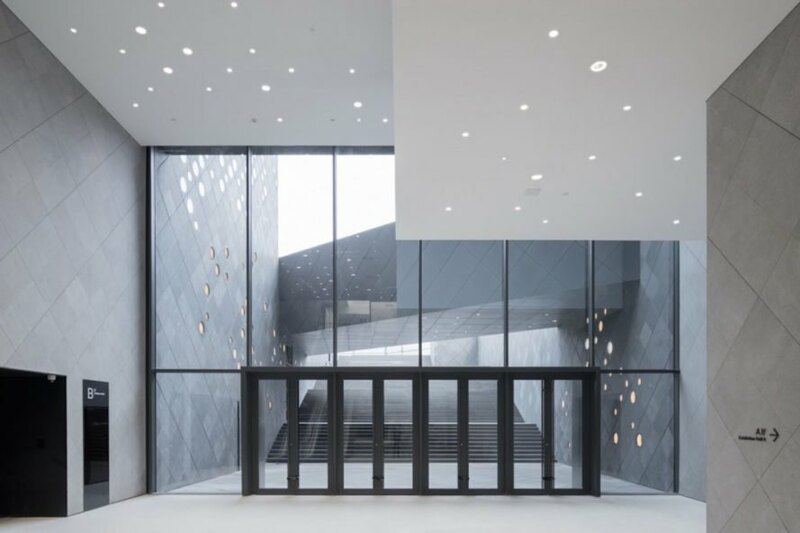 Given the site’s historical significance as the place where China’s New Cultural Movement originated, the designs for Guardian Art Center took two decades before passing approval by the Beijing planning bureau and preservation commission. In addition to its ties to both modern and historic design, the large structure can adapt to multiple uses thanks to moveable partitions and ceiling systems that allow for different interior configurations.